• Music is good for the soul! We’ve had some awesome visitors join us at the Takin’ It To the Streets Bus on a few Wednesday nights this summer. They drum, play music and hang out with anyone who visits the bus. Danie drums, Micaela and Chris play the guitar and sing, and Chris hands out sandwiches. Even some of our clients have picked up a guitar to play with them, and most everyone will sing along if they know the tune. The Streets Alive “Takin’ It To The Streets” Mobile Unit (sometimes called “The Bus” or “The Van” or just “The Mobile Unit”) provides sandwiches and coffee to people on the streets and in the low-income housing and hotels around downtown Lethbridge. When all your money goes to pay for rent, a fresh sandwich and a cup of coffee in the evening can be a lifesaver. With these volunteers sharing their music, we’ve been feeding bodies as well as souls. That’s a true gift!! Thanks for sharing your talents and your time, Danie, Micaela, Chris and others! It really is a blessing to our people and volunteers alike! 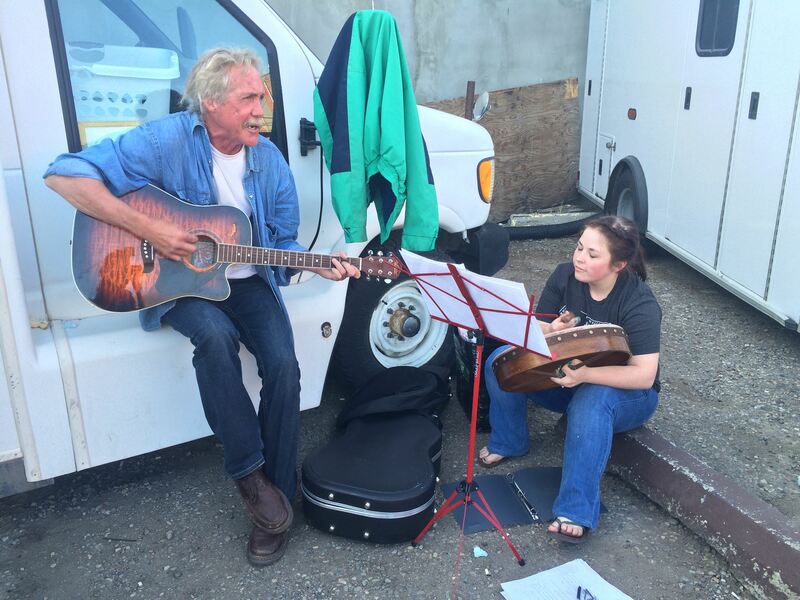 Streets Alive Mission: Bringing Hope – one song and one sandwich at a time!